Are you looking for a fun activity to do with your family? This course will include 45 minutes of class, followed by 15 minutes of meditation. 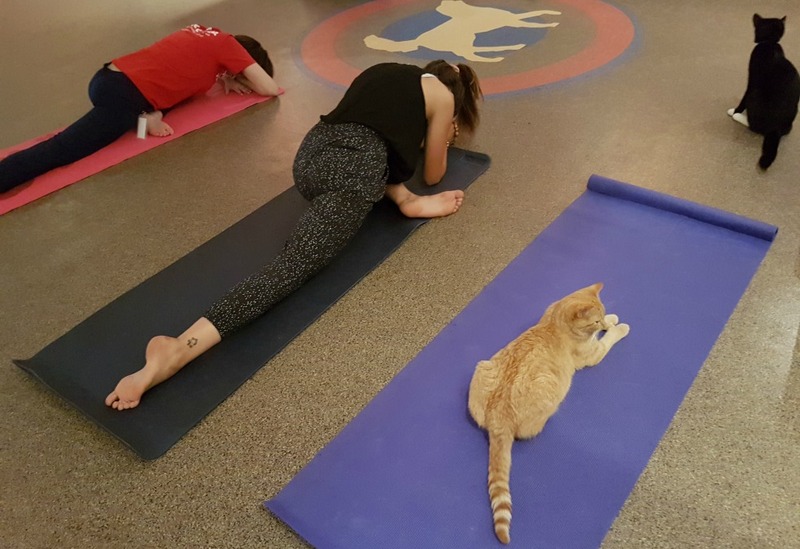 The full hour will include Edmonton Humane Society shelter cats roaming the room as you relax and stretch out (dependent on availability). This course is not only healthy and fun; it also helps to socialize and enrich the lives of the shelter cats, as well as, encourages adoption by showing off the cats awesome personalities by interacting with them.